Ten once-per-month classes and personalized coaching to help you increase savings, reduce debt and build credit. Classes coming to Southside soon! Prior to enrolling in Bank On, Sandra Gale described her situation as feeling ‘broke, broken, and ashamed’. During orientation class, Norfolk Councilwoman Angelia Williams-Graves spoke to the class, describing how Bank On could change their life. At that moment, Sandra’s feelings of shame diminished and she felt empowered to complete the program and take control of her finances. Sandra improved her credit score by 69 points over the 10-month duration of the program, and now has an emergency/savings account. She pays her monthly bills early and in full, and limits use of her credit card that she keeps at 70% capacity. 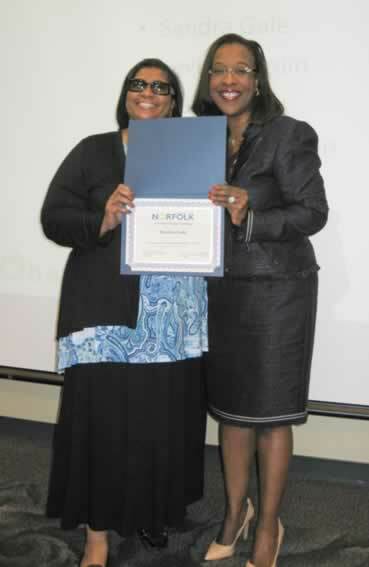 Sandra Gale succeeded in completing the program. She is currently saving to become a homeowner in 2018. These accomplishments conquered Sandra’s feeling of being ‘broke’. Sandra also became a certified Trichologist during the program, which she said conquered her feeling of ‘brokenness’. Sandra is a glowing example of the positive impact that the Bank On program has on individuals in the Norfolk community. Through this initiative, we seek to empower people to make improvements in their financial condition, which inevitably leads to a more overall positive transformation. Sandra is just one of hundreds of success stories with Bank On Hampton Roads. Bank On Hampton Roads is a 10-month program and provides all the education, accountability and support a person needs for building a plan to reach their financial goals. The best thing is that it is FREE! There is even a matched savings program organized to help participants build emergency savings. You could receive $150 in savings match! What is the catch? You attend one class per month and meet with a personal financial coach once per month to build your financial plan centered on your financial goals. What do you have to lose? Sign up for classes with Bank On Hampton Roads online: www.bankonhr.org. With help from BOHR, Kaylah got a new home of her own. Kaylah is a single mom who found herself unable to afford a place of her own. As a result, she lived in a family member’s spare room with her son. When she received her first salaried position, she thought that her first step would be an apartment, and then she would save funds to buy a house one day. Once in her apartment, she found that the bills were overwhelming and different than she had planned for. As a result, she found herself seeking out payday loans just to keep the lights on. She thought it would be the most responsible thing to do, to pay her bills on time. When she was unable to repay her loan she asked for an extension. This led to an additional $80 in charges. She learned how expensive storefront lending can be the hard way. Kaylah decided to turn her situation around with the help of Bank On Hampton Roads. Kaylah’s coworker told her about the program. Her coworker had attended the classes before and knew Bank On Hampton Roads is organized to help people out of financial stress and build better credit and savings. At Kaylah’s first class she was challenged to make a pledge to save for a specific goal and she began to automatically deposit that savings each payday. She never noticed the missing money because it was automatic. 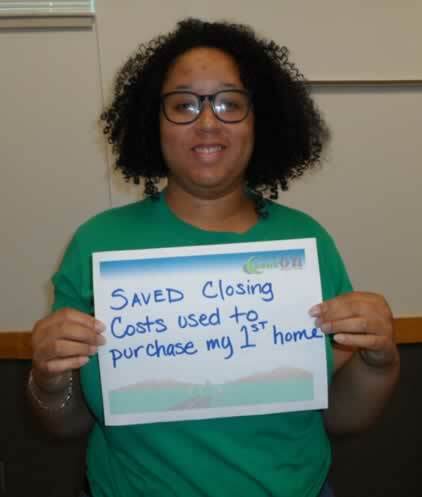 Kaylah was able to establish the habit of paying herself first, working with a budget that was realistic for her lifestyle and was able to qualify for her first home paying monthly less than she was paying for rent. She improved her credit more than 30 points in 10 months and feels that she now has the tools she needs to reach her future goals. Kaylah is just one of hundreds of success stories with Bank On Hampton Roads. Bank On Hampton Roads is a 10-month program and provides all the education, accountability and support a person needs for building a plan to reach their financial goals. The best thing is that it is FREE! There is even a matched savings program organized to help participants build emergency savings. You could receive $150 in savings match! What is the catch? You attend one class per month and meet with a personal financial coach once per month to build your financial plan centered on your financial goals. What do you have to lose? Sign up for classes with Bank On Hampton Roads online: http://www.bankonhr.org. Posted on February 20, 2018 February 20, 2018 by SuzPosted in Bank On Hampton Roads, Community OutreachTagged Bank On Hampton Roads, Community Outreach.